What is the ProCare Universal Clavicle? Deluxe 'Figure of 8' shoulder support for the treatment of a broken Collar bone and Acromio-Clavicular (AC) joint injuries (shoulder separations). 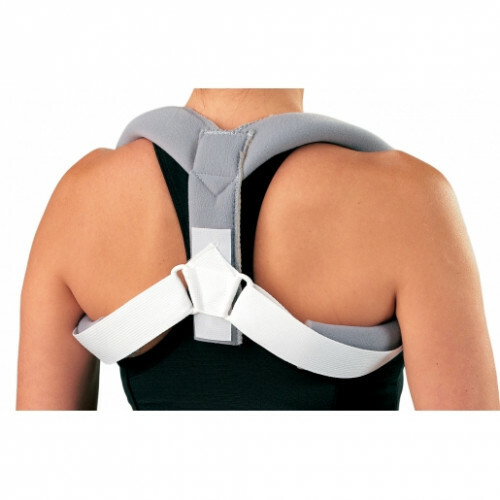 Easy to apply, this super comfortable foam support puts the shoulder girdle in the best possible position for healing. During the healing period following broken Collar bone, AcromioClavicular (AC) 'shoulder separation' injuries. Can be worn 24 hours to make sure the shoulder is in the best possible position for healing. Broken Collar bones and AcromioClavicular (AC) joint (shoulder separation) injuries are common in sports or following a fall onto an outstretched hand. A position of 'shoulder retraction' with the shoulders relaxed back provides the optimal position for healing of these injuries. 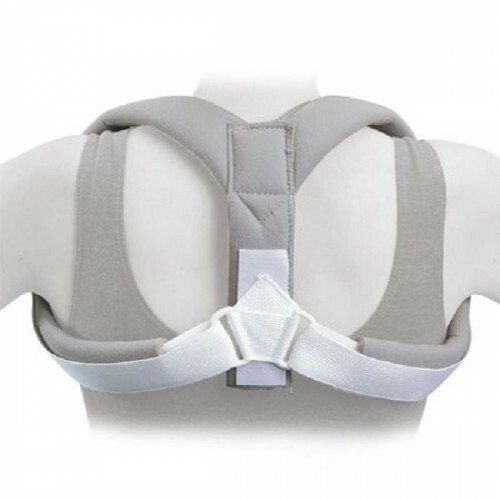 The ProCare Universal Collar Bone support is a comfortable 'Figure of 8' support that ensures the broken Collar bone or shoulder separation injury is in the best position for healing. Simply slip it over both shoulders and custom tighten using the Velcro straps.